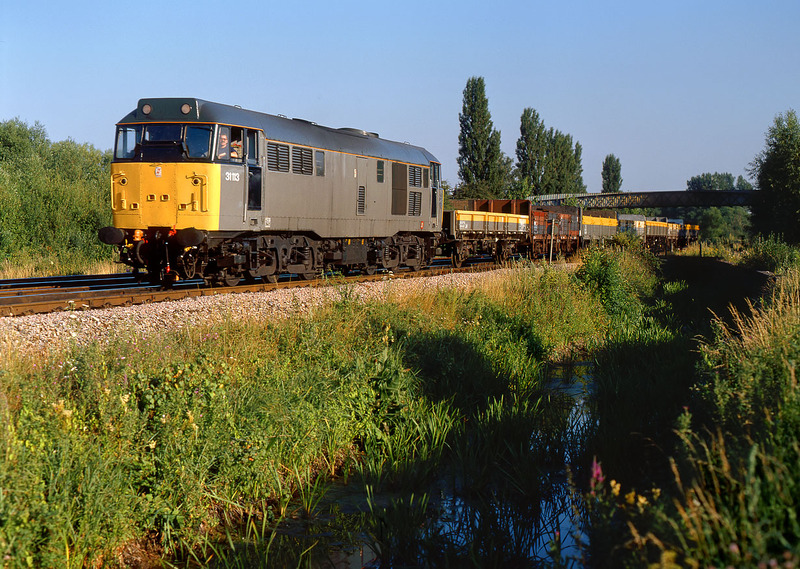 On the gloriously sunny evening of 20 July 1990, 31113 heads north past Oxford North Junction with a short rake of engineers wagons. Recent vegetation clearance had temporarily opened up this viewpoint, but it was destined not to last. Obviously a former Victorian rubbish dump, as the mud deposited on the bank on which I was standing was full of antique glass bottles.